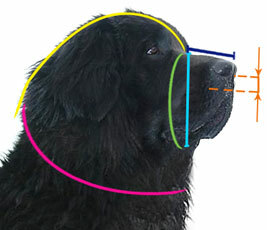 Wish your dog would look extraordinary? 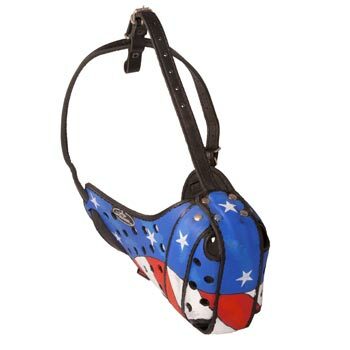 This wonderful bright handpainted muzzle is exactly that you are searching for! The perfect combination of beauty, high quality, practicalness and comfort will not leave you indifferent. The item is equipped with strong flexible leather straps, leather covered steel bar, several holes for perfect ventilation and has really outstanding design. 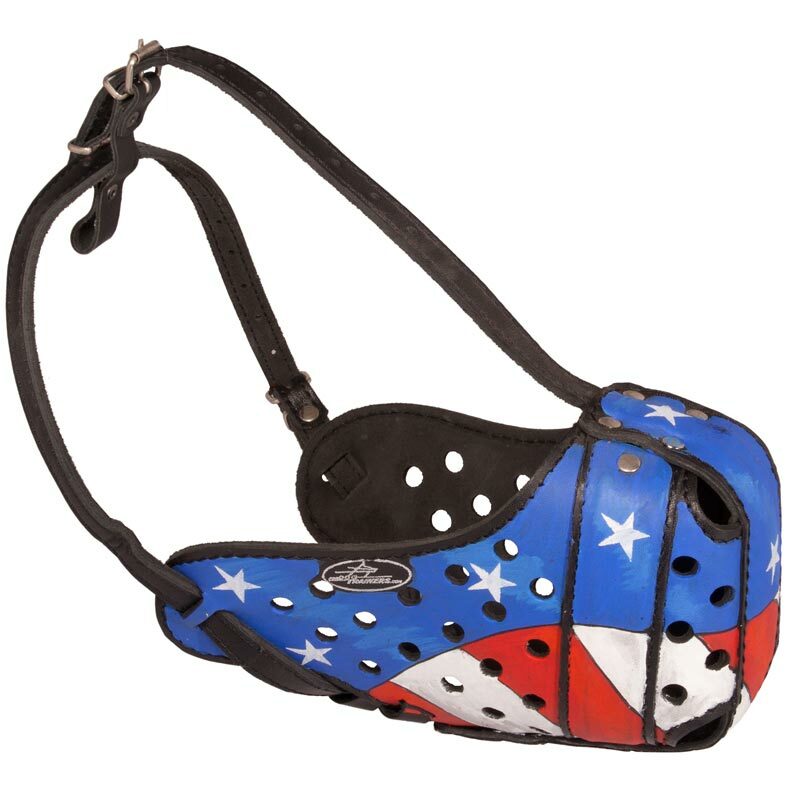 With this bright American Flag Painted Leather Dog Muzzle on, your Dog will surely look fantastic. Besides, this gear is comfortable for wearing.